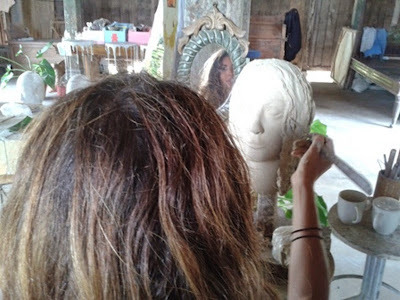 Because this course programs in a short time, students are given lessons 'learning by doing', in the sense of starting lessons at once given the basic theory sculptural. The soft launching of 'Short Course Sculpture', initial program we launched how to create sculptures with clay models, ceramics and sandstone (soft stone). For the realist model forms can be taken / copied from the self (self portrait), friends and others. For abstract forms, students are freed to make the sculpture according to his imagination. To complement the course lessons, students are given basic knowledge of materials science and anatomy of human body shapes. In addition, students get a mold with a ceramic material, fiberglass, cement and traso to take home as gifts. Students can also take the mold (negative results), which was then filled (positive results) in accordance with the material needed. In addition to the above programs Short Course Sculpture will develop a program such as how to create sculptures using materials other than clay, such as: iron, copper and aluminium. This program is more complex in terms of materials and equipment, this program will be depreciated and launched later. With the knowledge and practices which are relatively short, it is expected students can apply the lessons for the hobby and business associated with the sculpture. 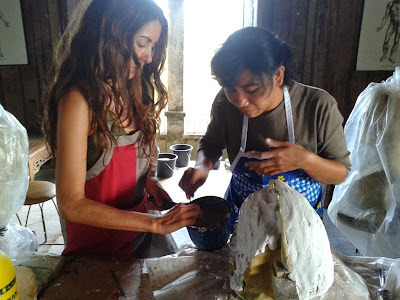 We open new program BONE CARVING CLASS and MAKING SCULPTURE WITH METAL. Contact admin for details. 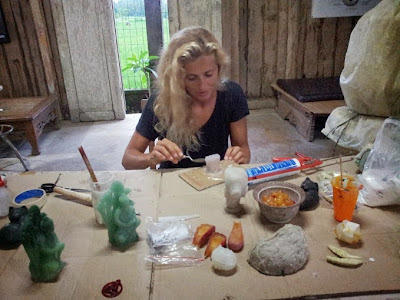 Bali Sculpture Class since 2010 - 2017. Watermark theme. Powered by Blogger.